Take your metal clay skills to the next level. Learn how to sculpt your metal clay with simple tools right in the palm of your hand to create stunning works of art. 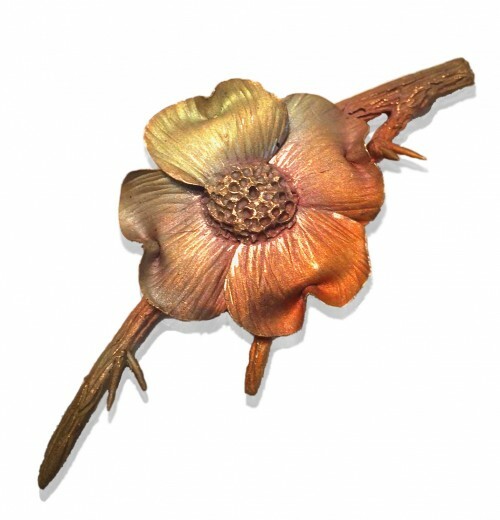 You will learn to create ultra detailed pieces of metal clay, design and join them to build a broach. Carrie will provide detailed instructions and demonstrations, and help with design considerations while you make each piece. The broach components will also be fabricated by hand to allow for complete customization. You will have access to try a variety of tools and equipment to help you decide what would be best for your future projects. Pieces will be fired and available for pick up after class. Some prior metal clay experience is suggested but not required.